Since the program began in 2012, 55 sites across the state have become Select Tennessee Certified Sites. Out of those 55 sites, only nine sites have sold in the program’s seven years. the 110-acre Development Area 6 Site located in Oak Ridge’s Horizon Center Industrial Park. The program was created to help communities prepare industrial sites for private investment and job creation. By setting rigorous standards, Tennessee can ensure these sites are prime for development and can provide companies detailed and reliable information about those sites to help with the selection process. In addition, opportunities have been available through grants to update these sites. One of those was the Jones Road site that now has a newly constructed industrial grade road leading directly to the site and approximately 11 flat, pad ready acres that were graded to support the buildout of a facility up to 200,000 square feet. Having a certified site in your community does not guarantee the success of landing a prospect. Qualifications for certification require at least 20 acres of developable land for industrial operations, documented environmental conditions and geotechnical analysis, existing onsite utilities or a formal plan to extend utilities to the site, and truck-quality road access. But much more goes into selecting a site – location, community demographics, quality of life, workforce initiatives, and business climate are some of the most important. The Roane Alliance is optimistic, having seen an increase in interest for all three sites, since achieving certification. The three sites have collectively been receiving around 15 prospect visits each year. And interest in the Jones Road site continues to gain even more interest because of the addition of the road and pad ready acres. Interest has also increased because of the relationships built with our economic development partners such as TVA and the Tennessee Department of Economic & Community Development (TNECD). Since many prospects and leads come through them, the Roane Alliance has been using the certified sites as a way to stay in the forefront of their minds. Each quarter, those sites are highlighted in an email that has resulted in some quick replies about potential prospects. One such prospect is currently considering Roane County, and though the business does not qualify for the Jones Road Site due to jobs and wage requirements we have set, it has led to interest for other sites, including Cardiff Valley. Standards for the sites have to be maintained and re-evaluated every three years to receive recertification. This process ensures the most current and accurate information is available to prospects. All three sites are due for recertification this year, and the Roane Alliance has begun the process for Cardiff Valley and Jones Road, while Oak Ridge City will submit for Horizon Center. 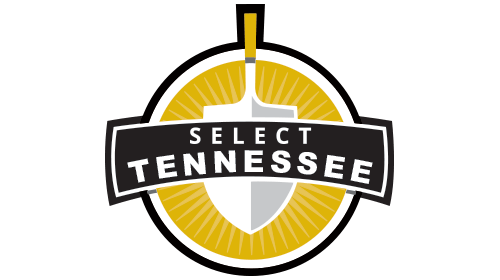 To learn more about the Select Tennessee Site Certification Program please visit https://tnecd.com/sites/certified-sites/.